1. It is the participants own responsibility to ensure comfort and correct set up of the bikes before departure. 2. The correct wearing of a helmet is mandatory during the whole tour. 3. 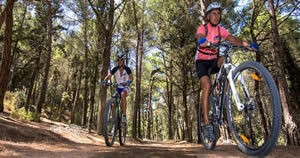 The participant must ensure that he/she is fully aware of the risks involved in this cycling activity. 4. A participant holding back the rest of the group will be provided with sufficient equipment and water to return under his/her own pace. 5. 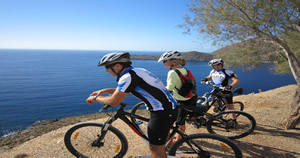 As participant of a biking tour you must have the appropriate experience and fitness according to the tour applied for i.e. covered similar distances within the last months. 6. The consumption of alcohol or senses impairing drugs during or before the tour is prohibited. 7. It is the participant`s responsibility to address to the tour guide whenever uncertainty arises. 8. If needed, the participant must ensure that the necessary medication is taken along / for example antihistamines, allergy treatment, asthma, etc. 9. The Tour Guides instructions must be adhered to at all time. 10. The Tour Guide must be informed about any ailments or injury immediately as well as about damage of the equipment. 11. For participants between the age of 16 and 18 years old, the written parental consent is required. 12. No refunds will be issued in case the tour is shortened, takes longer due to any unforeseen circumstances. 13. It is the participants own responsibility to ensure that he/she has the appropriate medical insurance that covers this activity. 14. Any medical transport or other arising costs due to injury is exclusively the participants own responsibility. 15. The guide takes no responsibility of loss, damage or injury that might occur during the guided tour. 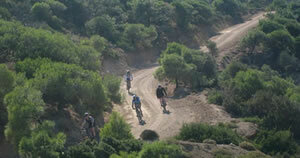 Kos Bike Activities is not liable for loss/damage to participants possessions or injury/death to participant. The participation is at own risk. 16. The participant shall not deliberately abuse the equipment e.g. jumping over objects, skidding, dropping equipment etc. 17. Any loss or damage to this equipment due to negligence during the period of hire will be charged to the participant according to the companies discretions, e.g. labour, delivery and cost of parts. 18. 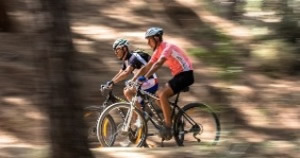 The bicycle should not lean on the brake discs or derailure / gear changer (rear – right hand side) any time.